The location is finally set. The second Kim-Trump summit is to be held in Hanoi, the Vietnamese capital, for two days from February 27th to 28th. That was revealed through U.S. President Donald Trump's tweet on Saturday. Hanoi has been much preferred by the North Korean side. First of all, it has the North Korean embassy. And second, late former North Korean leader Kim Il-sung, grandfather of Kim Jong-un, visited the city two times in 1958 and 1964. As it will be the first time in over 50 years that a North Korean leader travels to the country, it's possible that Kim could make a state visit to Vietnam. The venue announcement comes after the U.S. Special Representative for North Korea made a three-day visit to Pyeongyang this week. On Saturday, Stephen Biegun stopped by at Seoul's foreign ministry to brief his South Korean counterpart Lee Do-hoon and South Korean Foreign Minister Kang Kyung-wha on the results of his meetings with the North. "We are in the midst of a conversation with the North and our discussions were productive. (cut) We have some hard work to do with the DPRK between now and then and I am confident that both sides stay committed we can make real progress." From Wednesday to Friday, Biegun met with his North Korean counterpart Kim Hyok-chol, whom the U.S. State Department confirmed as Pyeongyang's Special Representative for U.S. Affairs. Kim Hyok-chol and Biegun sealed the location of the upcoming summit. But, according to Washington, they also discussed advancing the commitments made at the Singapore summit -- which means, the two sides talked about some specific actions they should take in terms of denuclearizing and rewarding. Through Twitter on Saturday, Trump stressed that North Korea will become a 'great economic powerhouse,' again encouraging the regime to denuclearize. 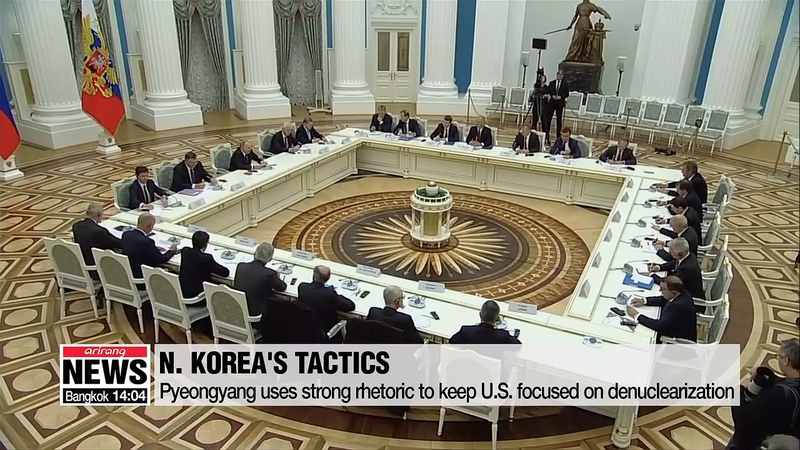 With the second Pyeongyang-Washington summit only three weeks away, the envoys from the two sides -- Stephen Biegun and Kim Hyok-chol -- are to meet again to fine tune the details of the summit.